After your first summer living in the Arizona heat, many new homeowners usually decide that they need to get some relief from the intense summer heat that is making live unlivable even in their air-conditioned house, and from the large utility bills that find their way into your mailbox from June to September. So you can either sit in a cold bath in the house all day and never go out, or you can start researching what others who live there are doing to combat the intense heat. Many people first make sure that their air-conditioning unit is working at optimum efficiency and then move on to ways that they can lower the sun’s impact on the windows thus reducing the amount of thermal heat entering the house. Shade screens are an effective way to reduce the impact of the rays on the windows and patio areas. Shade screens can be installed in a lot of different places. They can be installed outside windows and roll down shade screens can be installed to roll down in a patio area and limit the amount of sun focused there. Shade screens can change the look of your home so making sure that the ones you choose are consistent with the look and feel of your home is important. The roll down shade screens are great for windows that have no natural protection from light and glare. 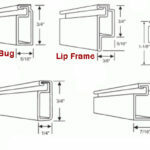 The roll down shade screens are used to control the amount of sunlight that goes into a room or on to a patio. Shade screens are manufactured out of a versatile fabric that prevents 80%-90% of the sun’s light from penetrating. There are many options of fabrics and vinyl to choose from, and a great assortment of colors. The darker and denser fabrics will filter out the sun completely. The lighter shades and densities of fabrics will allow certain amounts of the sun’s rays to penetrate. The thicker fabrics also stop the wind from penetrating the blind area, so that is also a big help with energy conservation. You will need to decide what each room is primarily used for and then decide the type of fabric that you want the shade to be made out of. A study area where people read and work on computers might need a lighter fabric than a bedroom that is primarily used for resting and sleeping. 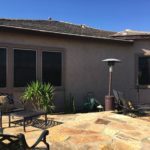 The initial outlay for shade screens is going to be a real investment in your home, but when you are living more comfortably and getting lower utility bills in the upcoming year, you will see the financial rewards of these shade screens.